Intel Ice Lake processors have surfaced online across the SiSoft Sandra and Geekbench databases. These CPUs are expected to launch later this year, and will bring with them our first glimpse at Intel’s Sunny Cove microarchitecture touting the long-awaited, and much delayed, 10nm process node. Ice Lake will bring with it the first big changes to the Intel microarchitecture DNA since Skylake, with some seminal changes with roots deeper than that. For the last few years Intel has been wrestling with the 10nm node to get it up to spec, and that’s led to an increased onus on the 14nm process node to deliver with each generation. But no longer. One such change with Ice Lake will be the drastic increase in EUs within the integrated graphics, confirmed by these SiSoft leaks, from just 24 (or 48 with Iris Plus) with Gen9 to 64 with Gen11. And from the Geekbench leak, within an entry under ‘Dell Inc. Alienware Portable’, Intel looks to be upping the L1 and L2 cache within its Ice Lake chips to 48KB and 512KB, respectively. That’s a touch more than Skylake consumer desktop processors with 256KB of L2 cache a piece. The leaked chip (spotted by Tom’s Hardware) is listed within Geekbench as a four-core/eight-thread processor, clocked at a humble 1.38GHz base and 2.29GHz boost. This is only a very early engineering sample and a mobile chip, however. The SiSoft entries also look to be representative of a LP (low-power) mobile processor. 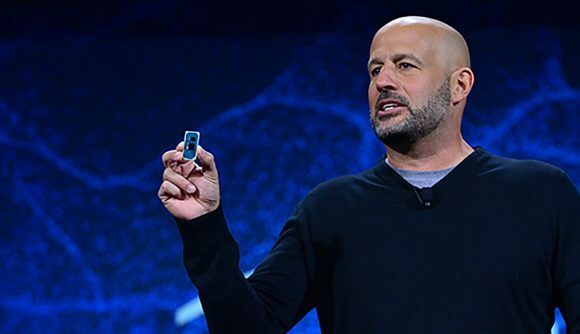 Intel announced Ice Lake over at CES 2019, during which GM of the Client Group, Gregory Bryant, showed off the “first volume 10nm client SoC.” This is set to be on the shelves for the end of the holiday period. Intel’s Bryant also confirmed that Gen11 graphics would be the building blocks of Intel’s discrete graphics card coming in 2020. Native Thunderbolt 3 support and integrated WiFi 6 support will make the cut for Intel’s latest mobile SoC. But it’s the new machine learning instructions, or DL Boost, set to optimise its chips for inference tasks that could be one of the biggest changes to the Intel DNA. This new functionality is set to accelerate AI and cryptographic workloads.